When Anna at Viviana Does Make Up asked her readers for the perfect warm brown eyeliner, the overwhelming response was MAC Teddy Eye Kohl. I had forgotten that I had this in my stash as one of my first MAC purchases. This was a great prompt for me to rediscover it. I always use eyeliner and I always go for a brown. Somehow black eyeliner just looks too harsh on me, the only exception being if I was going for a really dramatic liquid eyeliner look. Oddly though my mascara is always black - its just a combo that works well for me. If eyeliner has too much of a grey or cool tone to it it accentuates the dark circles under my eyes and makes me look tired. But a warm toned brown with hints of red, gold or bronze works really well and brings out the blue of my eyes. MAC Teddy Eye Kohl definitely has that warm golden undertone which looks better on me. It also has a pretty pearl type finish to it which makes it a little more interesting than a matte brown. 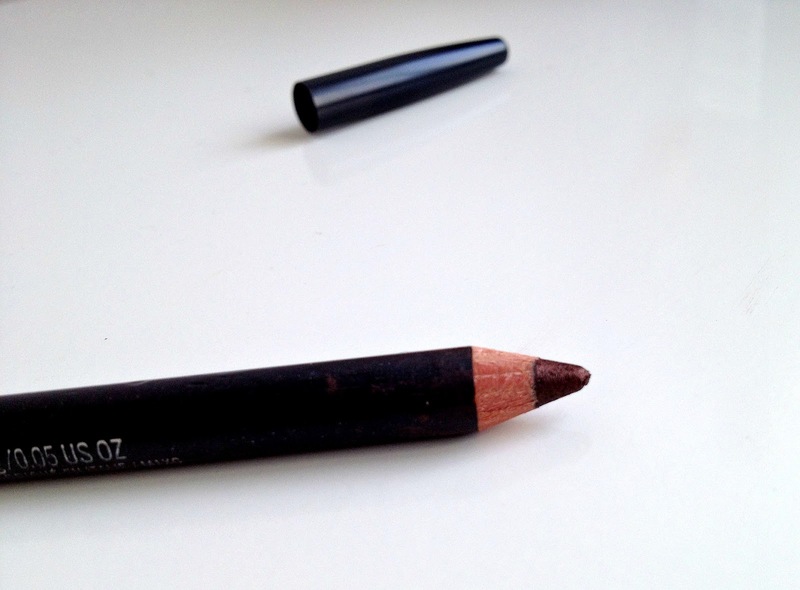 MAC Teddy is an eye pencil that needs sharpening. The kohl is really soft. I realised how soft whilst trying to take a swatch photo and completely flattening the point without even applying much pressure. Admittedly I was drawing on a hard surface to try and show the colour, but on your skin it gives quite good colour payoff without dragging the delicate skin around your eyes. 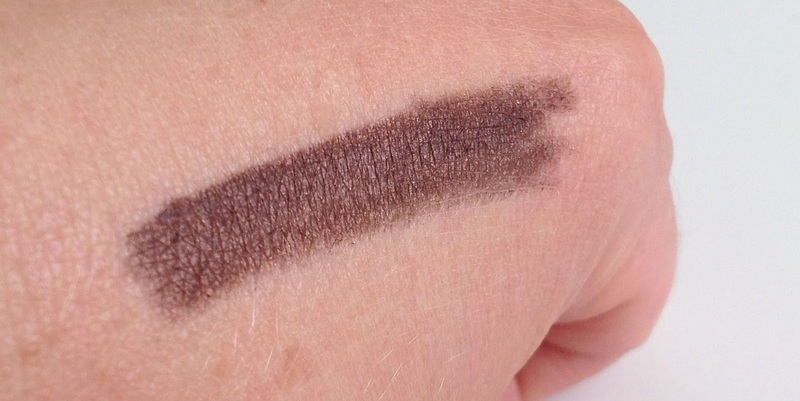 MAC don't bill Teddy Eye Kohl as waterproof, but I took a shower after swatching it on my hand and the water just sat in droplets on top of it. It didn't run or disappear, mind you I wasn't rubbing it otherwise I'm sure it would've smudged. But its good to know that if you were caught in the rain your make up isn't going to streak right down your face. You can use Teddy to draw a soft line around your eyes including in your water line and tight line (under the top lashes - which is a great way to subtly make your lashes look much fuller without it being obvious that you are wearing make up!). Although if I am going for a straightforward line effect I tend to favour a gel or liquid eye liner. Personally I think Teddy is best used smudged along the eye line, either with your finger or an angled brush. As a daily eye liner wearer this is much more of a subtle no-make up look for me, but if you are an eye liner novice this is great way to experiment with definition around the lash line! I do have some similar eyeliner pencils such as Rimmel Scandaleyes in Bad Girl Bronze and Urban Decay 24/7 Glide On Eye Pencil in Roach. 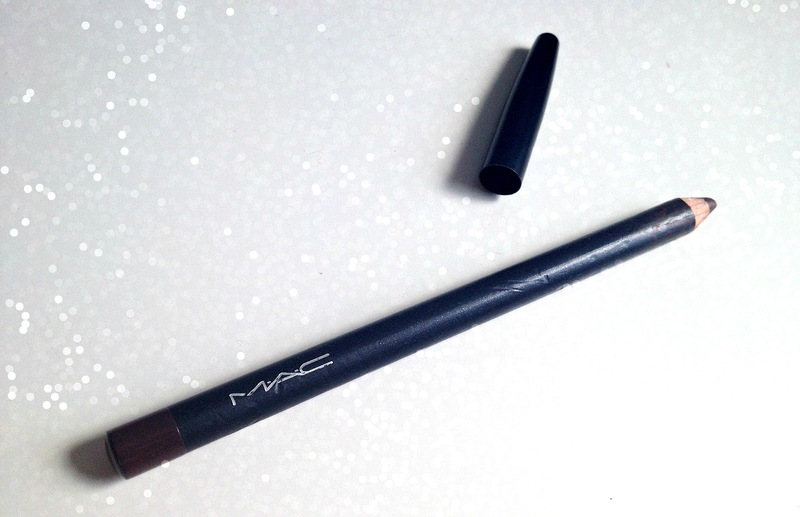 MAC Eye Kohl in Teddy is £14 HERE. MAC Monday is my weekly series dedicated to my favourite MAC products. Take a look at my previous posts HERE.